Please welcome to the Editor’s Q&A corner Lose the Cape Editor, Alexa Bigwarfe. 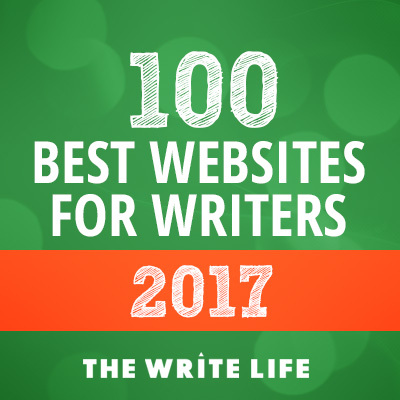 Alexa gives us the latest on bonus payment opportunities for original and republished work, how to be a guest on their podcast, their newest anthology call, virtual events for bloggers and much more! Q: Lose the Cape is ‘a place for encouraging busy moms and providing tips, tricks and resources to make life easier for ALL moms.” Give us a quick history of the site, and the type of stories you publish? A: Lose the Cape started as a passion project by Alexa Bigwarfe and Kerry Rivera – two bloggers on opposite sides of the United States who felt very similarly about motherhood. Both of us felt strongly that mothers pit themselves against each other too often instead of supporting and working together to encourage us as mothers, even if we do things differently. So, we started writing our book: Lose the Cape: Realities from Busy Modern Moms and Strategies to Survive. We interviewed many moms from very different backgrounds and situations, and put together a book that has strategies for survival for moms of young children… from a wide variety of perspectives. You don’t have to feel like you’re doing it wrong. Because we’re all SUPER moms, even if we aren’t SUPERMOM. After the book was launched, we decided to start the collaborative blog to share stories of motherhood and encouragement. We’ve evolved over the last several years, but we always want our site to be a judgment-free zone, where moms can come to get tips, tools, and resources on motherhood and never feel shamed for doing something differently than another mother. Q: Lose The Cape publishes motherhood stories on the blog. What are some of the topics you love to cover? Q: What qualities are you looking for in the submissions you choose to publish? A: We like real, honest stories of motherhood and surviving the challenges that come our way. Our most popular piece ever is The Elephant in the Room by Summer Smith. This lovely essay is about how Summer found out her newborn had something wrong, and how they dealt with the medical diagnosis. It’s real, it’s full of heart, and it appeals to anyone who has gone through a similar struggle. Another popular post is 10 Lies Parents of Teens Tell Themselves by Marcia Kester Doyle. We love posts like 10 Steps for Winning an Argument with Your 3 Year Old by Mandy Waysman. Q: What is your submission process? A: We accept submissions through Submittable. You can find the submissions link here. Q: You offer opportunity for payment for both original and previously published pieces (woohoo!). How does this work? A: It’s all about numbers. Basically, if you help us by bringing people to the website, we will reward you for that. Q: Tell us about the Lose the Cape Books and whether there are any more planned. The original Lose the Cape: Realties from Busy Modern Moms and Strategies to Survive is a book that has strategies for survival for moms of young children… from a wide variety of perspectives. You don’t have to feel like you’re doing it wrong. Because we’re all SUPER moms, even if we aren’t SUPERMOM. Lose the Cape: Never Will I Ever (and then I had kids!) is a compilation of fantastic stories from moms who dish out about all the things they swore they would NEVER DO before they had children… and how those outlooks changed. We actually have another anthology in the works – this one’s all about tweens and teens! Submission guidelines can be found here. Submissions close June 30th. We also have a book coming out sometime early fall… more to come on that. Q: You also have a podcast associated with the site – I was a guest on episode 11! Tell us about it and how readers can become guests. A: We love our podcast! It is growing really quickly. It started out as a resource for all moms, but as we’ve evolved, it’s turned to a focus on entrepreneurial and working moms. We interview so many different people who provide so much valuable insight for balancing the #struggleofthejuggle. If you would like to be featured, we highly recommend you check out a couple of episodes here and you can pitch to be featured here. Q: Where are you headquartered? Do you publish work from international writers? A: We are headquartered in Columbia, SC, where I (Alexa) live, but we feature writers from all over. We’ve had many submissions from Canada but are open to every location as long as it fits our criteria. Q: You ran a virtual summit for bloggers in 2016. Is that something you plan to do again? A: Yes! This time it’s focused on publishing and marketing a book, so if you have an inkling that you may want to write a book OR you are somewhere in the process, be sure to check out our amazing free training conference here. Q: What is next for Lose the Cape? A: We are really working hard to build our podcast. We think this is an excellent way for busy moms to get great tips and insights from other moms or businesses that support moms while they are busy multi-tasking. (driving, cleaning, walking the dog!) We’re launching a new series for the podcast – “Live Bravely” – featuring women who have taken considerable challenges and setbacks in their lives and turned them into a force for good. As mentioned above, we have a new book, and we’re always busy trying to find new ways to bring fresh information and support to encourage moms. We’ll soon be offering sponsorship opportunities for the podcast, so follow us to learn more about that.